2015 February | whydocatholicsdothat.com Blog– Pray. God is waiting. Why a study of philosophy is good for you, good for me and good for us. 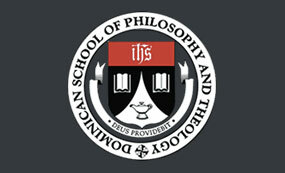 Years ago when I was studying Philosophy at the Dominican School of Philosophy and Theology, the only realization at the time is that my course of action to be enrolled in this school was simply a “means to an end”; that these studies would help me satisfy any effort at finally completing a degree. As days at the DSPT turned into weeks, which turned into semesters, there was finally a point that the “means to an end” did not seem to farewell with my own experience with the study of Philosophy. I was beginning to understand something, even though it was a tiny glimmer. It was a sense as if it was being revealed. This sense of awakening in knowledge, which would grow and take hold of both my ability to reason, and my love for truth, which would slowly become part of my being. That much I believe was me, the rest I give to God’s blessings. My school’s motto was a Latin phrase “deus providebit,” which translates, “God will provide.” Right off the back this phrase represented to me (and it was my own reflection at the time), a theological implication that God is involved only theologically. But as I grew in my studies, I realize that to relegate theology as the only means to discover God, however innocent, would be a serious privation of the person and the search of truth, and therefore the search for God. How can I come to know, if I don’t understand how these courses will help me see God? To put in perspective, let’s look at this course of thought, which became very clear to me: “I walked in not knowing, and have graduated knowing that I do not know.” So how is this good? To answer how it is good, I must anchor what I said to the things which are clearly for me, the argument which best serves the relationship between faith and reason and theology and philosophy. So what then is the purpose of Philosophy? Can it serve to be good or is it ‘a’ good? Perhaps if we visit that last statement, “and have graduated knowing that I do not know,” I will attempt to shed a glimmer of light of why I believe it is so. The courses at the DSPT in Berkeley were designed to fulfill requirements, that when completed, leads the student to a degree in Philosophy. And having done that, the student (in this case the seminarians of the various religious orders enrolled at DSPT, would share immersion as that of the Dominican Friars, into theological and pastoral studies). This would prepare them in all aspects of their program right into the priesthood. In my case, it led lay students who were not seeking religious vocations, to the same ratio of the Dominican tradition. To some end, I suppose, I too would have been be prepared for the priesthood given this rote. But this is not finally the point of this thought. The point is why Philosophy? And with all the sorts of readings which were expected of its students to complete, the DSPT faculty has for certain supported its curriculum with current scholarship in all the areas of Philosophy one could imagine, i.e., Philosophy of Nature, Aristotelian Logic, Ancient Philosophy, Medieval and Contemporary Philosophy, Ethics, etc., so that education in Philosophy would satisfy the rigor expected of its Dominican Friars leading to theological studies. Then something happened. At the end of each course there was a way I looked at the world around me, and I realized that I would think about things with interest. For example I became protective of words which would be used to describe something common, when it would otherwise be best used to describe the highest form which, in my training and understanding of the world, is God. Words like “good,” “perfect,” “awesome,” “highest,” and many similar terms, seem only fair to keep away from things which we experience daily. Like food. The use of words to describe finite and material objects such as food or cars appear vulgar. It was as if I took the red pill. But Philosophy does not end with examining the world around us and of the things which we occupy our thoughts. It also contributes to the way we handle ourselves as well as others. It is exactly in this way which we can discern all that is possible in the discovering of our place in this world and with God. So the question then remains to be answered: Is Philosophy good? For all of us? It seems a legitimate view point is if Philosophy strives to uncover truth which is hidden or unrevealed, and it causes our belief to change how we view or handle one another, and that we hold the dignity of the person above our own needs and desires, then it is good. It must therefore be an objective moral good. I happened upon the following article and am sharing it here in case folks have not seen it. It touches on the idea of Philosophy handling human tendencies such as that which is iracible and concupiscent. Why philosophy? Because the study of philosophy, the “love of wisdom,” creates and nurtures thoughtful minds, minds that can — as Aristotle suggests — entertain a thought without accepting it. With a philosophic worldview, a Republican who despises any tax increase or economic stimulus could at least consider the notion of tax hikes or Keynesian economics. A Democrat facing antithetical ideas could do likewise. Thought rather than anger could become the default response to opposing worldviews. Indeed, philosophy can do a great deal to lessen the anger that is growing like a cancerous tumor in modern America. In addition, Shammas argues, philosophy helps us to learn virtue and, as Socrates said, makes us realize how little we truly know—which would replace irrational anger and fear with humility and curiosity. Philosophy leads us to ask the ultimate questions about truth, justice, suffering, the afterlife, all of which most people in our society are afraid to consider. While only faith in Jesus Christ can ultimately save our society, it seems reasonable to believe that the widespread study of philosophy would make our nation’s politics, at least, more rational and discourse-friendly. Lent is here. What shall we do to transform our lives so as to rise with him who saved us from sin and death? Here we are once again. That time of the year where we are forthright in our efforts to shed off our former selves to become better Christians. We begin our journey with a Holy Mass on a day which is called Ash Wednesday. That ash which was signed on our foreheads was done with one of two reminders, “Repent, and believe the Gospel. Or: Remember that you are dust, and to dust you shall return.” This is the beginning of the 40 days. These 40 days have their ties with Holy Scripture with instances throughout the Old Testament (Hebrew Scriptures) and the New Testament from Noah and the great flood to Jesus in the desert. In essence these next 40 days are days for fasting and praying and alms giving. But we do this knowing we will come to celebrate the most glorious of all events, the resurrection of Jesus Christ from the dead in a time called Easter. This day is a reminder. It is our hope of salvation. Our reason to believe. But there is much to remember and do. We must each of ourselves step out of our comfort zone and take upon our 40 day journey a diligence to reflect on our own sins and challenges, to become witnesses to the Gospel, as Pope Francis declares. Here we begin so that we may rise and to love one another just as Christ has loved us. 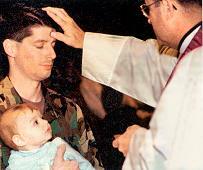 Check out Catholic Apologist, Jimmy Akin’s article on Ash Wednesday. At the beginning of Lent, on Ash Wednesday, ashes are blessed during Mass, after the homily. The blessed ashes are then “imposed” on the faithful as a sign of conversion, penance, fasting and human mortality. The ashes are blessed at least during the first Mass of the day, but they may also be imposed during all the Masses of the day, after the homily, and even outside the time of Mass to meet the needs of the faithful. Priests or deacons normally impart this sacramental, but instituted acolytes, other extraordinary ministers or designated lay people may be delegated to impart ashes, if the bishop judges that this is necessary. The ashes are made from the palms used at the previous Passion Sunday ceremonies. 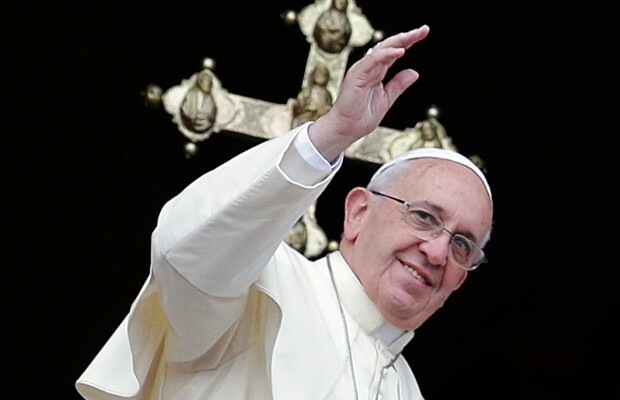 Below is what Pope Francis shares with us for Lent. As Lent draws near, I would like to offer some helpful thoughts on our path of conversion as individuals and as a community. These insights are inspired by the words of Saint Paul: “For you know the grace of our Lord Jesus Christ, that though he was rich, yet for your sake he became poor, so that by his poverty you might become rich” (2 Cor 8:9). The Apostle was writing to the Christians of Corinth to encourage them to be generous in helping the faithful in Jerusalem who were in need. What do these words of Saint Paul mean for us Christians today? What does this invitation to poverty, a life of evangelical poverty, mean to us today? First of all, it shows us how God works. He does not reveal himself cloaked in worldly power and wealth but rather in weakness and poverty: “though He was rich, yet for your sake he became poor …”. Christ, the eternal Son of God, one with the Father in power and glory, chose to be poor; he came amongst us and drew near to each of us; he set aside his glory and emptied himself so that he could be like us in all things (cf. Phil 2:7; Heb 4:15). God’s becoming man is a great mystery! But the reason for all this is his love, a love which is grace, generosity, a desire to draw near, a love which does not hesitate to offer itself in sacrifice for the beloved. Charity, love, is sharing with the one we love in all things. Love makes us similar, it creates equality, it breaks down walls and eliminates distances. God did this with us. Indeed, Jesus “worked with human hands, thought with a human mind, acted by human choice and loved with a human heart. Born of the Virgin Mary, he truly became one of us, like us in all things except sin.” (Gaudium et Spes, 22). By making himself poor, Jesus did not seek poverty for its own sake but, as Saint Paul says “that by his poverty you might become rich”. This is no mere play on words or a catch phrase. Rather, it sums up God’s logic, the logic of love, the logic of the incarnation and the cross. God did not let our salvation drop down from heaven, like someone who gives alms from their abundance out of a sense of altruism and piety. Christ’s love is different! When Jesus stepped into the waters of the Jordan and was baptized by John the Baptist, he did so not because he was in need of repentance, or conversion; he did it to be among people who need forgiveness, among us sinners, and to take upon himself the burden of our sins. In this way he chose to comfort us, to save us, to free us from our misery. It is striking that the Apostle states that we were set free, not by Christ’s riches but by his poverty. Yet Saint Paul is well aware of the “the unsearchable riches of Christ” (Eph 3:8), that he is “heir of all things” (Heb 1:2). So what is this poverty by which Christ frees us and enriches us? It is his way of loving us, his way of being our neighbour, just as the Good Samaritan was neighbour to the man left half dead by the side of the road (cf. Lk 10:25ff). What gives us true freedom, true salvation and true happiness is the compassion, tenderness and solidarity of his love. Christ’s poverty which enriches us is his taking flesh and bearing our weaknesses and sins as an expression of God’s infinite mercy to us. Christ’s poverty is the greatest treasure of all: Jesus wealth is that of his boundless confidence in God the Father, his constant trust, his desire always and only to do the Father’s will and give glory to him. Jesus is rich in the same way as a child who feels loved and who loves its parents, without doubting their love and tenderness for an instant. Jesus’ wealth lies in his being the Son; his unique relationship with the Father is the sovereign prerogative of this Messiah who is poor. When Jesus asks us to take up his “yoke which is easy”, he asks us to be enriched by his “poverty which is rich” and his “richness which is poor”, to share his filial and fraternal Spirit, to become sons and daughters in the Son, brothers and sisters in the firstborn brother (cf. Rom 8:29). We might think that this “way” of poverty was Jesus’ way, whereas we who come after him can save the world with the right kind of human resources. This is not the case. In every time and place God continues to save mankind and the world through the poverty of Christ, who makes himself poor in the sacraments, in his word and in his Church, which is a people of the poor. God’s wealth passes not through our wealth, but invariably and exclusively through our personal and communal poverty, enlivened by the Spirit of Christ. May the Holy Spirit, through whom we are “as poor, yet making many rich; as having nothing, and yet possessing everything” (2 Cor 6:10), sustain us in our resolutions and increase our concern and responsibility for human destitution, so that we can become merciful and act with mercy. 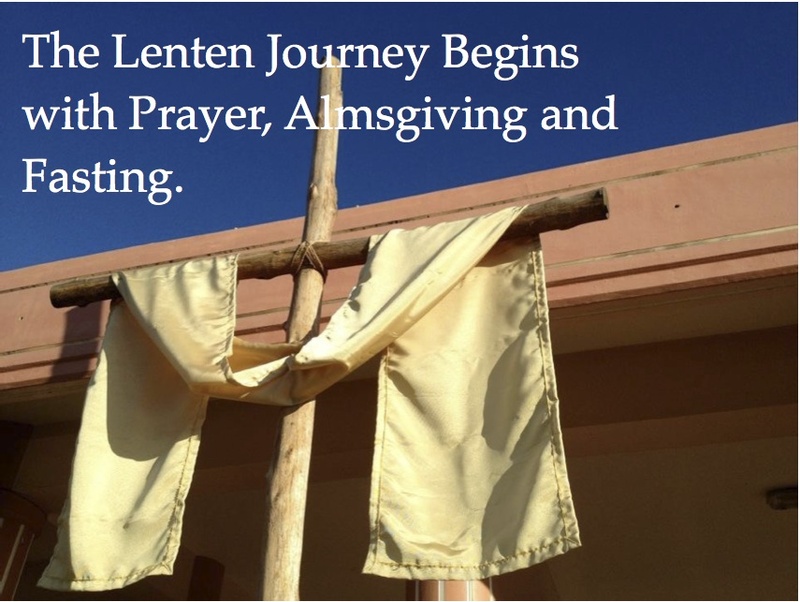 In expressing this hope, I likewise pray that each individual member of the faithful and every Church community will undertake a fruitful Lenten journey. I ask all of you to pray for me. May the Lord bless you and Our Lady keep you safe.